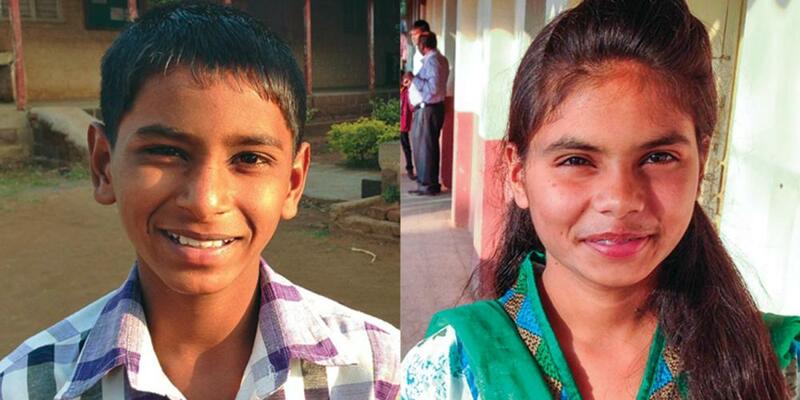 Let’s meet four children who are attending an Adventist school in India because of pastors. The Alate Seventh-day Adventist School was established in western India in 1943. While it was closed for some time, it reopened in 1981. Today the school serves an enrollment of 260, including 35 who live in dormitories. Enrollment could increase if the school can upgrade its facilities. Do Seventh-day Adventist pastors play an important role in Adventist schools? If it weren’t for Adventist pastors, thousands of children would not be attending an Adventist school in India. Let’s meet four of them. Siyon [pronounced: SY-awn] first met an Adventist pastor when he was 10 years old. Once a week, the pastor would come to his home and give Bible studies to his parents. The pastor would pray with his parents and then leave. A short time later, another pastor from a different church would come to his home. He also read the Bible and prayed. This went on for some time. Finally, Siyon’s parents decided to keep the seventh-day Sabbath. But they faced a dilemma: “We couldn’t decide who would tell the pastors about our decision,” Siyon said. The parents had many issues to work out, but they had no trouble deciding where Siyon would attend school. When the pastor spoke about an Adventist boarding school about 40 minutes from their home, the parents told their son to pack his bags. When Siyon first arrived at the school he felt sad, for he knew no one at the new school and felt alone. But he studied hard to learn English and made new friends. Now he speaks English well and loves his new school. He has learned to be a leader and enjoys leading song services and assisting in prayer meetings and Sabbath School at the school. Relatives and friends have noticed the difference in Siyon. When he comes home for vacations, they gather in his home and ask him to lead prayer meetings. They want to send their own children to his school—and several already have. Five children are now studying at the school because of the changes his family and friends have seen in Siyon’s life. Siyon is one of 260 students studying at the Alate [pronounced: ah-LAH-teh] school in western India. Part of this quarter’s Thirteenth Sabbath Offering will help the school build a new classroom block to replace the old classrooms. It will allow the school to accept more students, some from Adventist homes, but many from families who know little or nothing about Christ and His offer of eternal love and life. Eleven-year-old David also enrolled in the school through the influence of a pastor. “My father is a bricklayer, but for several weeks he couldn’t find work, and we didn’t have much food to eat,” David said. “Then a stranger came to our house and gave him a Christian leaflet. Dad began to read it out of curiosity. “A short time later my father saw several well-dressed people looking at a construction site. He walked over to the group hoping to find work. He was surprised to recognize one man in the group as the man who had given him the leaflet. Gathering up his courage, my father mentioned the leaflet to the man and told him he had been reading it. Then he asked for more information. The man introduced himself as an Adventist pastor and invited Father to study the Bible with him. Abhishek’s [pronounced: Ah-BIH-sheck] mother calls it a miracle that her son is attending the Adventist school. A drought had ruined the family’s crops. She and her family had sat at home, starving and wondering what to do. Then an Adventist pastor came to her door and offered to pray for the family. The family was not Christian, so Abhishek’s mother sent the pastor away. But the pastor came back day after day. Finally, she allowed him to pray for her family. Today Abhishek’s mother believes that the Holy Spirit arranged those visits. The pastor helped the family obtain food. He later gave her Bible studies, and she joined the Adventist Church. Abhishek was able to enroll at the Adventist school through a scholarship two years ago. Adventist schools are filled with similar stories of students who have been able to grow in an Adventist environment. Please remember the Alate school in your prayers and with your Sabbath School mission offerings. Let’s also remember to pray for the Adventist pastors who play an important role in Adventist education.